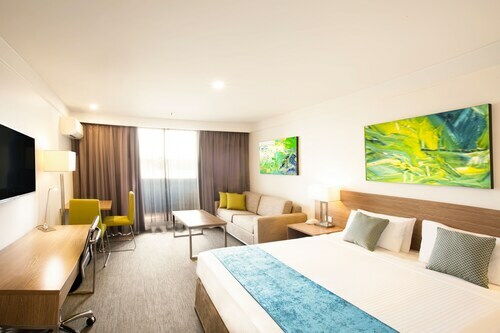 Located in the heart of Ultimo, this hotel is within a 10-minute walk of Broadway Shopping Center and Powerhouse Museum. Capitol Theatre and University of Sydney are also within 1 mi (2 km). Wentworth Park Light Rail Station is 13 minutes by foot and Paddy's Markets Light Rail Station is 13 minutes. 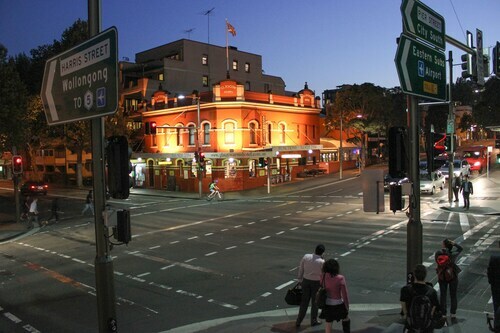 Situated in Ultimo, this hotel is within a 10-minute walk of Broadway Shopping Center and Powerhouse Museum. Capitol Theatre and Paddy's Market are also within 15 minutes. Paddy's Markets Light Rail Station is 10 minutes by foot and Wentworth Park Light Rail Station is 12 minutes. 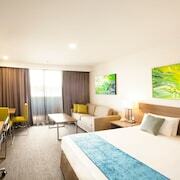 Located in the heart of Ultimo, this hotel is 1.7 mi (2.7 km) from Sydney Exhibition Centre. Exhibition Light Rail Station and Exhibition Centre Station are within a 5-minute walk. When you're discovering the state of New South Wales, make sure you get to its capital, Sydney. Located 2 kilometres southwest of the heart of the city, you can find the popular neighbourhood of Ultimo. On the hunt for major attractions like the Sydney Opera House, Bondi Beach and Sydney Harbour Bridge? Then look no further than Sydney. Wander around Elizabeth Bay House, an interesting historic dwelling that's filled with stories. 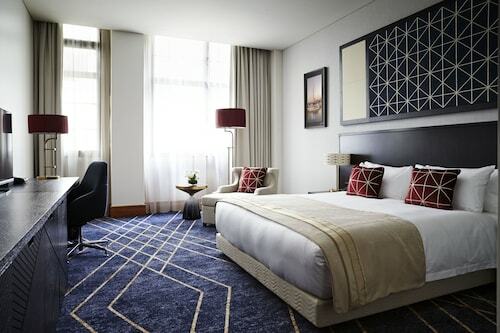 If you'd like to sleep close by, consider the Park Hyatt Sydney and Pullman Quay Grand Sydney Harbour. Artsy types should be sure to drop by Yellow House to see the variety of vibrant works of art on show. Consider the Quay West Suites Sydney and Establishment Hotel to be near this place. Have a hard time getting much done without at least one coffee? You'll be happy to know Ultimo has some great cafes. 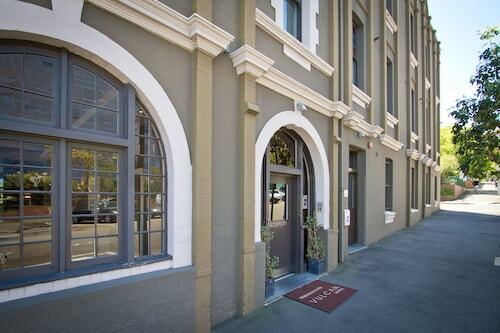 Vulcan Hotel is a local favourite, offering a selection of hot drinks and sweet treats. Wondering where to go for dinner? You can't go past Base Backpackers Sydney. The hearty meals here will be sure to satisfy a rumbling tummy. Have you ever noticed that you tend to get thirsty as the sun sets? A few beers at Wake Up! Sydney is the perfect way to finish off a rewarding day. Don't panic if you cannot find the best Ultimo hotel. 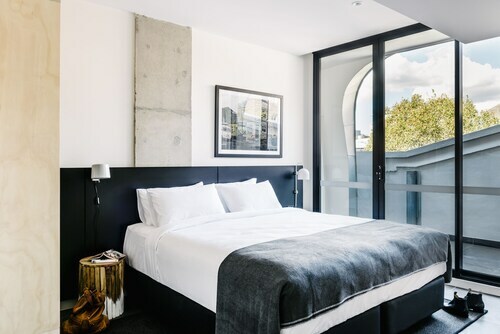 You will discover more places to kick your feet up in the Sydney Central hotels guide and the Wotif Haymarket hotels guide. 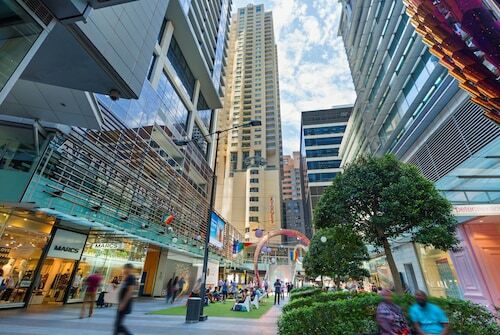 Sydney Central is around 0.7 kilometres from Ultimo and Haymarket is 0.8 kilometres away from Ultimo. Ultimo features a number of great accommodations. If you're ready to make tracks to Sydney, Wotif can get you there, on budget, on time and in style! How Much is a Hotel Room in Ultimo? Hotels in Ultimo start at AU$103 per night. Prices and availability subject to change. Additional terms may apply.